OnRamp Access, a data center service provider in Austin, Texas, offers managed hosting solutions to coastal companies as the 4th anniversary of Hurricane Ike approaches. The destructive Category 2 hurricane made landfall near Galveston, Texas, on September 13, 2008, and still serves as a grim reminder of the devastating effects severe weather can have on coastal residents and businesses alike. With an increased likelihood of storms making landfall in the Atlantic Basin region this hurricane season, OnRamps managed hosting solutions help businesses keep their critical IT infrastructure running securely, reliably, and effectively 24/7/365, from the safety of its geographically stable, Austin, Texas, data center location. Although some companies in the path of Hurricane Ike were able to maintain their IT infrastructure and online operations, other challenges existed in the storms aftermath. Widespread power outages, lasting several weeks, forced many IT operations to shut down and others to narrowly survive on backup generator power. Those residing in coastal cities and low-lying areas around Houston, Texas, who were able to cope with these power issues, were still met with a mandatory evacuation which displaced their technical staff from their equipment. Primary data storage sites were thus left inaccessible, resulting in a loss of productivity and revenue, and prompting situations of high vulnerability for their critical systems. OnRamps data center is situated in a geography that is far removed from the threat of natural disasters, has a low seismic risk and zero incidents of hurricanes, making it an ideal location for companies storing mission critical data. 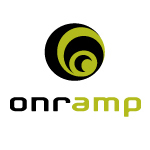 Whether OnRamp serves as a companys primary data storage site, or as a secondary site for managed hosting purposes, we make sure your IT operation is safely running 24/7/365, said Chad Kissinger, Founder of OnRamp. For companies who do not host their IT operations in a geographically stable part of the country, there is a risk of downtime associated with natural disasters that can result in a loss of revenue, or worse, force them to shut down their business altogether. OnRamps managed hosting solutions pair best in class hardware equipment from HP, Cisco, NetApp and EMC with redundant power, multi-homed bandwidth over fully meshed networks and 24/7/365 monitoring for 100% uptime. OnRamps experienced onsite engineers manage, monitor and maintain each managed hosting solution to ensure 100% uptime, a feature that is especially important for disaster recovery customers who are intentionally distanced from their equipment in Austin by design. OnRamps managed hosting services offer the flexibility of customizing a solution that bests suits a companys budget and agenda. From managed servers, to managed network devices, dedicated server hosting, managed storage and managed backups, OnRamp can create a managed hosting solution to meet its clients specific needs.